At the young age of 22 guitarist Dida Pelled has already established herself as one of the most in demand musicians in Israel, aside from leading her own trio, dida has worked with various jazz combos as well as some of Israels most popular rock and pop acts, performing at high profile venues such as the givataim theater, the guitar festival in the south, shablul jazz club, Milestone jazz club and more. Notable performances include playing with accomplished musicians such as: Roy Hargrove, Gregory Hutchinson, Jordi Rossy, Joe Cohn, The Thelma Yellin big band, Amos Hoffman, Shay Zelman, Ofer Ganor, The Diva Jazz orchestra, Gilad Hekselman, Neal Minor, Jason Brown and many others. In the short time spent in NY Dida has already played at some of New Yorks most prestigious Jazz clubs such as the famous Bird Land, Smalls Jazz Club, Fat Cat jazz club, Dizzy's Jazz Club at Lincoln center, the mythological Arturos and other notable Jazz landmarks. After less then one year in New York Dida has recorded her First Album- to the Italin label - Red records. produces by Fabio Morgera- and played with Dida as guitarist and vocalist joined by Tal Ronen - Bass, Gregory hutchinson- Drums and Roy Hargrove as Special guest. 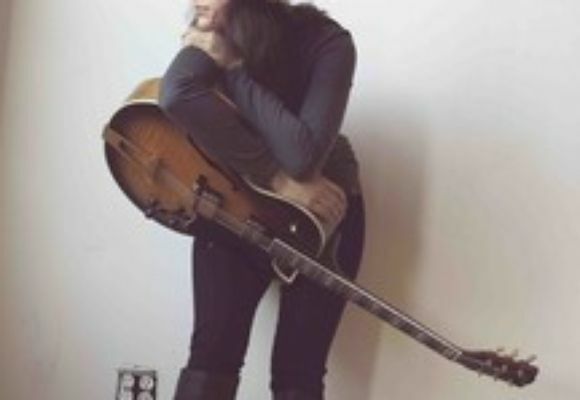 "Dida Pelled sings and plays with equal skill, and her one of kind soundsteeped in tradition while residing deep in a dreammark her as an artist deserving greater attention"
"With 10 fingers that are wise beyond their 21 years, Pelled is the jazzbo guitar slinger that Emily Remler should have been."